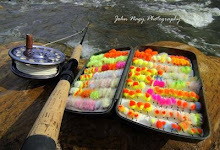 What steelhead dreams are made of! A very hot and dry summer has kept most of the Lake Erie tributaries low, clear and warm into early September. Cattaraugus Creek has had a decent flow with a scattering of both adult and jack steelhead in the lower reservation waters. Water levels near the mouths off the tributaries are very good though due to good lake levels this year. Mid September has brought a good shot of some much needed precipitation to the Lake Erie watershed with early run steelhead entering the lower reaches of most of the tributaries. Periodic run-off episodes are the ideal scenario for a good fall run on the Lake Erie tributaries (with remnants from fall hurricanes an added bonus). Expect early fall run-off to be heavily silted (requiring longer time to clear) due to summer silt accumulation. Also, the fall leaf drop usually peaks at the end of October with most leaves clear from the tribs by early to mid-November. On October 25, 2010 the Lake Erie water temperature (degrees F) off Toledo was 54, off Cleveland was 57, off Erie was 56 and off Buffalo was 56. Last June, an Asian carp was found past the highest electronic barrier in the Chicago Area Waterway System, with free access to the Great Lakes. If Asian Carp spread throughout the Great Lakes system it could disrupt the Lakes’ $7.5 billion commercial and sport fishing industry as well as its ecological systems. Representative Dave Camp (R-MI) has helped to introduce the Permanent Prevention of Asian Carp Act and the Carp Act bills. If passed, these bills by law will completely cut off the flow of water between rivers that connect the Mississippi River to the Great Lakes and also provide other immediate interim measures to keep Asian carp out of Lake Michigan. The bills were introduced after the U.S. Supreme Court repeatedly declined to take up lawsuits filed by Michigan Attorney General Mike Cox last December against the State of Illinois. Mr. Cox was requesting an injunction to immediately close the Chicago area locks and take emergency actions to ensure that Asian carp do not reach the Great Lakes. On September 8, 2010 President Obama appointed John Goss to the new post of Asian Carp Director and also met with representatives of the Great Lakes states to talk strategy for keeping Asian carp out of the five lakes. 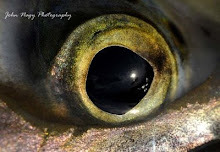 The first year survey (done in September 2008-May 2009) has shown that fishing pressure, catch rates and average length of harvested fish going up substantially from the 1970’s and 1980’s. Catch and release practices are much more prevalent now versus previous years (89%). 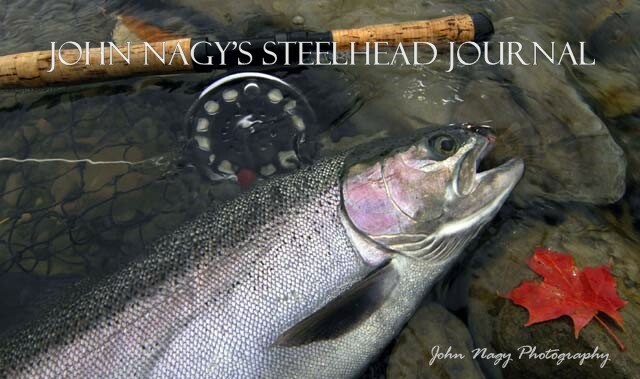 The survey also showed that the Ohio steelhead fishery is overall on par with neighboring Lake Erie states in terms of angling effort, catch rates and release rates. The ODNR/DOW creel survey showed monthly catch rates from 0.1 to 1.0 fish per hour on the major Ohio tributaries while both PA and NY surveys have shown values in similar to slightly higher ranges. In Pennsylvania, the Pennsylvania Fish & Boat Commission (PF&BC) completed the installation of a fish ladder (June 30, 2010) on the Lawrence Park Golf Club dam on 4 Mile Creek. The PF&BC has also submitted a grant application to the Fish America Foundation and NOAA to install a bypass around the waterfall that is 500 feet upstream from the dam. The bypass will include a 4 foot wide regulated channel to the east of the falls. The Primary goal of these projects is to enhance steelhead migration upstream on 4 Mile Creek to the Penn State Behrend Campus area (also know as the Wintergreen Gorge) and possibly beyond I 90 (a distance of about 5 plus miles). The PF&BC is also interested in making improvements to parking and trails upstream on this Lake Erie tributary and also purchasing public fishing easements (with private landowners) through the PF&BC Lake Erie Access Improvement Program. Steelheaders should be aware of the access change on the lower section of 4 Mile Creek. The Lawrence Park Golf Club is still permitting anglers to access their property but anglers are no longer permitted to utilize the foot bridge (at the lower dam) in order to cross to the west side of the stream. Anglers must enter the stream between the dam and club property line which is next to (north of) the dam. This will allow access to the lower fishing hole at the mouth by walking downstream. Also, anglers are prohibited from trespassing on the East side of lower 4 Mile Creek unless they are a member of the Lawrence Park Fishing Club. 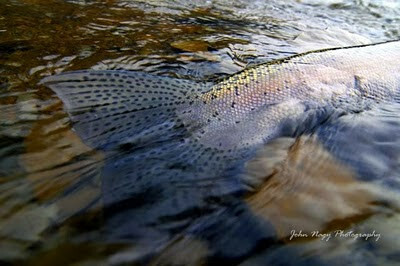 Chuck Murray of the PF&BC will be collecting steelhead and brown trout in the nursery waters of Trout Run this fall. He will be examining brown trout for fin clips in order to evaluate brown trout stocking locations (brown trout have been stocked since the spring of 2009 by the 3CU Trout Association and the PF&BC at the mouths of several Lake Erie tributaries and also Presque Isle Bay). He will also be looking for lamprey wounds on steelhead based on anecdotal reports from boat fisherman who have reported high lamprey wounding numbers out on the lake this past summer and also a substantial increase of lamprey nesting counts (in 2009 when compared to 2008) at monitored sites in several Lake Erie tributaries. In New York, the United States Army Corp of Engineers (USACE) is scheduled to complete a feasibility study for the Cattaraugus Creek Restoration Project this October. At that time the USACE, the NY State Department of Environmental Conservation (NYSDEC) and the US Fish & Wildlife Service (who have lamprey concerns) will meet to review the results of the study and determine all possible options available for the project (including installation of a fish passage device on the Springville Dam). The USACE is tentatively planning a public information meeting this upcoming winter concerning the project as well. Bidding and construction work in regards to the Chautauqua Creek Dam Modification Project has been postponed until next summer due to the USACE’s request for more matching funds from the State of NY (approximately $150,000 total). Also, negotiations with a private landowner for a permanent access road easement to the dam areas has stalled. Jim Markham of the NYSDEC has been doing wild steelhead assessment studies on Chautauqua Creek (including above both dams). This “pre-passage” monitoring will be invaluable for determining any increase in wild steelhead natural reproduction after the dam modifications are complete (which is the primary goal the Dam Modification Project). Study will be under 2009 Lake Erie Unit Annual Report March 2010. Jim Markham relates that the NYSDEC has discontinued stocking Cattaraugus Creek with Skamania steelhead due to marginal returns of Skamania at the Salmon River Fish Hatchery in Pulaski, NY (Lake Ontario) which can no longer allocate surplus Skamania to the Cat. Anticipate Skamania returning to the Cat as well as some of the other Western NY Lake Erie tributaries for the next few years though (since they have been stocked in the Cat by the NYSDEC from 2005-2009).